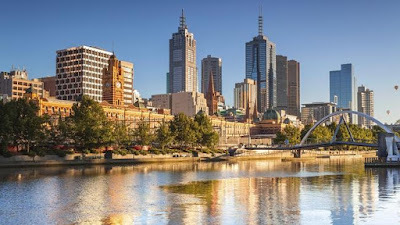 A survey carried out by Crown Relocations has confirmed that nearly 9 in 10 Australians would welcome British entrepreneurs, with 86 per cent of respondents saying they would like more people to emigrate Down Under. Currently, Australian business immigration visas include the Business Innovation and Investment (Provisional) visa (subclass 188), and the Business Talent (Permanent) visa (subclass 132). There is also the Australian 457 work visa and skilled migration schemes. “The survey results are encouraging for entrepreneurs considering setting up a business Down Under and show that British entrepreneurship is recognised and welcomed there. Everyone knows that Australia is a beautiful country and a wonderful holiday destination…but it can also provide exciting opportunities for entrepreneurs looking to live and work abroad“. Australia has been a popular destination for the British since 1945, when there was mass migration from Britain to Australia under the Australian Assisted Passage Migration Scheme. UK nationals were given incentives to emigrate Down Under from as little as £10, which was set up by Australia’s then Prime Minister, Ben Chifley, and the country’s first Minister of Immigration, Arthur Calwell. The scheme was created initially to increase the population of Australia and to supply workers for the country’s booming industries, and between 1946 and 1972 (when the Assisted Passage Migration Scheme ended), over one million ‘£10 Poms’ had emigrated to Australia. 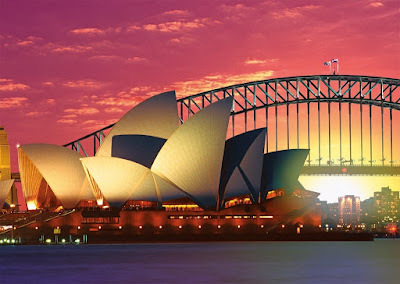 According to the Crown Relocations’ survey, Australians say that their country is ‘crying out for business acumen from the UK‘, and would wish to encourage British nationals to apply for an Australian visa and start a new life Down Under. A 2014 Global Entrepreneurship Index (GEI) also ranked the UK as the most entrepreneurial country in Europe, which could potentially explain why Australians value British Entrepreneurs. “Australia wants to attract the best and brightest entrepreneurial talent and skills. It is critical for Australia’s prosperity and growth that we not only tap into the best entrepreneurial minds in Australia, but we also make it easier for talent from overseas to contribute to this country’s innovative future. We are also keen to retain those educated and talented people, who have come to Australia and developed their knowledge base during their time in this country“. Peter Dutton, the Australian Minister for Immigration and Border Protection, stated that the new Entrepreneur visa would help to “promote innovation and encourage individuals to participate in the consultation process. Under the National Innovation and Science Agenda, the new Entrepreneur visa will facilitate the entry to Australia and stay of entrepreneurs with innovative ideas and financial backing from a third party“. Therefore, this is considerably good news for the freedom of movement agenda, as considerable demand for British entrepreneurs in Australia can easily be achieved by allowing human capital to flow freely between the two countries. Under free movement protocols, the need for expensive and time consuming visa/work permit applications would not be necessary, and Australia can easily benefit from increased entrepreneurial supply from the United Kingdom in this way. Of course, increased demand for British entrepreneurs is not a guarantee for free movement, but this mindset within Australia is a significantly positive step towards commencing discussions about the issue, and achieving considerable progress towards free movement by the end of 2020.